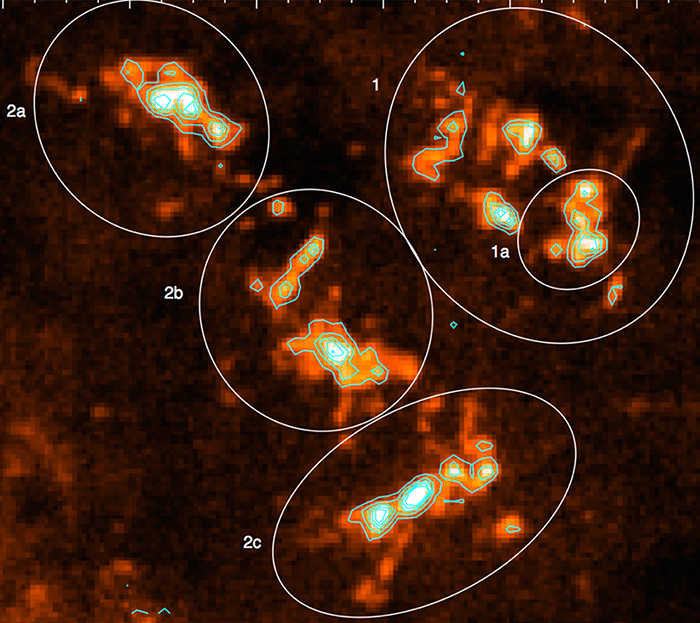 A team of astronomers -- including several with ties to Iowa State -- used a newly commissioned radio telescope in South Korea to make the first high-resolution observations of the molecular clouds within a star-forming region of the Milky Way. The first good look at the galactic region indicated large molecular clouds about 180 light years across with a mass equal to about 100,000 masses of our sun. A paper describing the observations has been accepted by the Astrophysical Journal.